The following main components make up a ducted heat pump. An outdoor unit – This is the component that is installed outside the house. Within it, it contains the motor, fan, defrosting control, reversing valve and condensing coil. The reversing valve is what enables the system to switch easily from heating to cooling. The motor and fan work together to pull in air from the outside so as to cool or heat it before passing it on to the air handler. Air handler the air handler unit consists of an evaporator coil, an electric heater pack and a blower motor. The heater pack acts as the supplemental heat source in case outdoor temperatures go too low or the heat pump breaks down. The blower motor is responsible for moving cooled or heated air from the heat pump and into the system’s ductwork where it finally enters your home. Line set – This is a tubing made of copper. It connects the air handler to the outdoor unit and carries the refrigerant. Different models of heat pumps will perform differently. To ensure that you get the best one for your needs, here are important parameters you should consider. 1. Efficiency Ratings. There are two types of ratings used to rate the efficiency of a heat pump. Higher figures in both ratings indicate more efficiency of the system. SEER refers to seasonal energy efficiency rating and measures cooling efficiency. Look for a heat pump with a SEER rating between 14 and 16, though some expensive heat pumps can have a SEER rating as high as 20. HSFP refers to heating seasonal performance factor. It measures heating efficiency. A HSFP rating of between 8 and 10 is ideal. Note that high efficient heat pumps will cost you more but the returns are higher in the long run. What SEER is the best choice, the more the better? 2. Size. This is a crucial factor that needs to be taken into account early on. Heat pumps are available in a variety of sizes, often measured in tons. The larger the size, the more the air output into the house. For a large home to experience efficient cooling and heating, a large capacity heat pump of 5 or 4 tons may be necessary. A smaller home can do with a more compact heat pump of 2 or 3 tons. There are various other factors that determine what size is right for your home including insulation, local codes, windows and ducts. To be sure of the right size, get a professional to do a survey of your home. Please Note that Larger Size is not better. Larger cooling capacity can lead more frequent circle ON and OFF, which finally decrease your efficiency and life span. 3. Variable speed blower. Recent models of heat pumps come installed with a variable speed blower instead of the traditional type. This blower operates at a variety of speeds, which results in energy savings, less noise and minimizing of cold drafts getting into the house. If your heat pump has the traditional blower, talk to a professional to see whether it is possible to install a variable speed one. Other features to look out for include a programmable thermostat for temperature regulation, noise level of the outdoor unit, dual mode compressors and motors that save more energy and scroll compressors that are more efficient and quieter. For the cooling process, heat pump and air conditioner are identical. During the heating process, heat pump can bring you 3 Kilowatt heat by consuming 1 Kilowatt (Amazing! Because heat pump transfer another 2 Kilowatt from outside), while the best gas furnace can only generate 0.98 Kilowatt by 1 Kilowatt. So far the heat pump efficiency (300%) seems to be unbeatable in heating, however when the outside temperature goes down, the heat pump efficiency dramatically drop until it is not enough to meet your need, then it’ s time to add a backup heat source. Backup heat source will obviously increase your upfront cost. So when to choose heat pump? • Climatic location – heat pumps work best in places that experience moderate climate. In a place where the outdoor temperature falls to or near zero, the system will use much more energy to heat the indoors. In such climate, supplemental heating is often necessary if you opt for a heat pump. But manufacturers are working on new systems that can operate well in a wider range of climates. • Rebates and Tax Credit. Most US states offer tax credit and rebates for heat pump especially for geothermal(ground source) heat pump. You need to look up your local rebates news and we will open another section to update rebates and tax credit news for US states later. Good rebates can help you save 15%-35% upfront cost. The best way to decide which system is best for your home is to call in HVAC professionals. They will come in, study your home including its location and size and then advice you on the best option that will save you money while keeping your home comfortable. After confirming heat pump is the best solution for your heating and cooling, another thing you need to decide is heat pump type: duct or ductless. For the listed conditions below, we recommend ducted heat pump. If the listed below is one of your cases, you may prefer ductless heat pump. 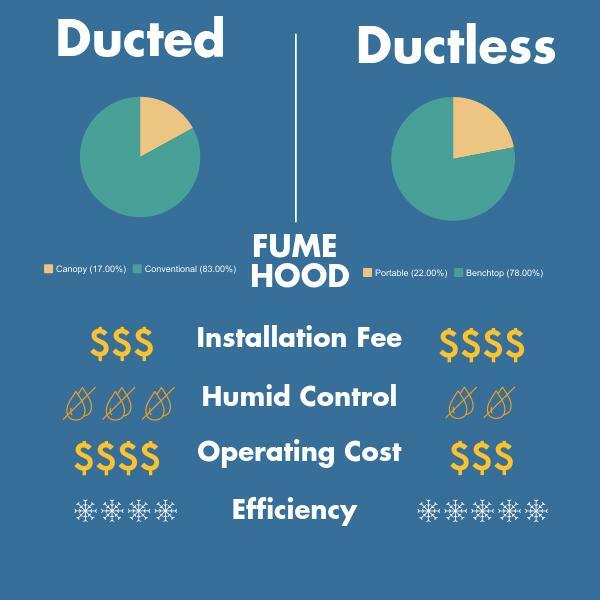 What’s more, ductless heat pump has a relatively high-efficiency thanks to no heat leaking from the duct, but the average upfront cost for ductless unit is $1000-$2000 higher than the ducted one. According to WashingtonEnergy Report, ductless heat pumps can still create comfortable heat at -4℉, which is much lower than a traditional heat pump.